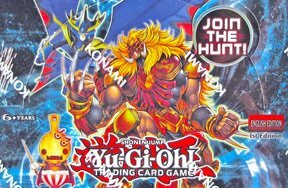 With the release of the Pokémon Black and White Theme Decks and Booster Packs, the TCG rules have also been updated! Below is a summary of the changes, ranging from which cards can be played on the first turn to errata on the card texts! The most significant change is for the player that goes first. Before Black and White, players are not allowed to play any Trainer or Supporter cards on their first turn if they go first in the match. This restriction has been removed, which means Trainer and Supporter cards can now be played on the very first turn! This gives the starting player a huge first-turn advantage. You are still not allowed to evolve any Pokémon on the first turn, even if you have a Rare Candy in your hand. Pokémon with special abilities in the Black and White series no longer have Poke-Powers or Poke Bodies. Instead, they have been combined into a different category called Abilities. Why does that matter? Well, there are Pokémon that blocks Poke-Powers and Poke-Bodies, and they will no longer be able to affect Pokémon with Abilities! 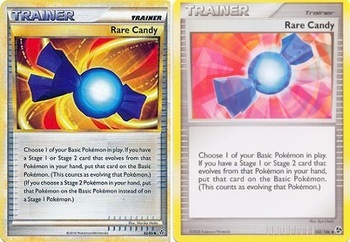 Rare Candy: This card can now only evolve a Basic Pokémon into a Stage Two, and cannot be played on the first turn that a Basic Pokémon was played onto the bench. In the past, players have been using Rare Candy to evolve their Basic into Stage One as soon as the Basic goes on the bench, and now no one can do that anymore! 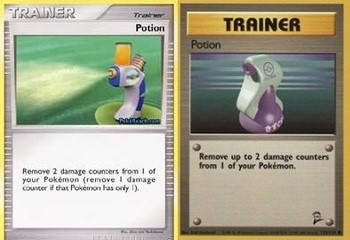 Potion: It used to heal 20 damages from one of your Pokémon. Now it heals 30! Defender: This item can now block 20 damages done by any source, not just the ones done by your opponent! So if your Pokémon’s attack deals damage to themselves, Defenders will protect against that as well! That's the summary of the rule changes that came into play when the Pokémon Black and White Sets were released. It changes the way players go about building their decks and setting up their initial hand. What are your thoughts on the new rules?